The government tried to close his car dealership, he fought back, and now as a Congressman Rep. Kelly wants to kill the electric car. With HR 3768 introduced, on Dec 30, by Chevy Car Dealer and Rep. Mike Kelly (R-Pa.), a proposal to end the $7500 tax credit for electric car purchases is now being considered by the House of Representatives. 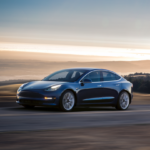 The small bill titled “To amend the Internal Revenue Code of 1986 to repeal the credit for plug-in electric drive vehicles” would simply amend the IRS code section related to the electric car purchase tax credit, to terminate the tax credit. The $7,500 tax credit often is described as “Obama’s tax credit” but came into being in the Emergency Economic Stabilization Act of 2008 (EESA), whose main purpose was the bailout of the financial industry following the meltdown of Sept 2008. Being in 2008, this occurred while Pres. Bush was in office. To understand the motivations behind terminating this tax credit, it may be illustrative to study the person, Rep. Mike Kelly, whose name is on the bill, and to go through a USA Today op-ed piece he published in December 2011. Rep. Kelly, was formerly a car dealer/salesman at a Chevy dealership founded by his father that was almost axed during the GM bankruptcy. 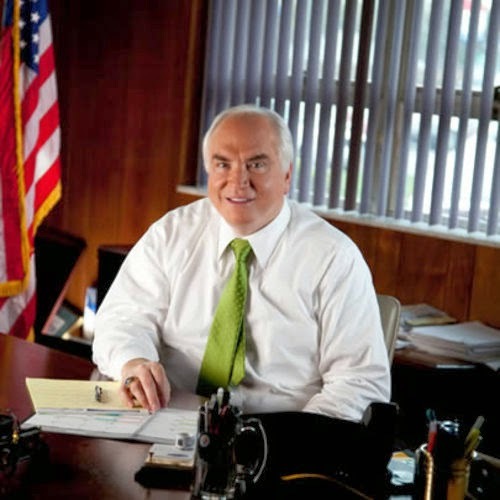 When the Obama Administration Auto Task Force, announced plans to shut down more than 1,900 dealerships, including Mike Kelly’s own dealership, his response was to fight (and reverse) the decision to close his dealership, and then he ran for Congress. That is a picture of a person with a personal beef against the Obama Administration and its decisions around the automotive industry. For example, reports are that his own car dealership took extra steps to shun the Chevy Volt, even going to far as to fire an employee who consented to GM’s request that they bring in a Volt. 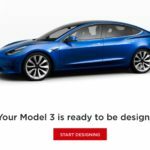 In October (before the Chevy Volt fire was revealed) he was quoted saying there is no market for the Volt, and calling anybody who’d want one “foolish”. Then in early December (after we learned of the Volt fire) his tune changed a little, and he published an USA Today op-ed full of over-hyped negative spin of the Volt calling for an end to electric vehicle subsidies. First, Rep Kelly reiterates the meme that “the tax subsidies are largely going to the affluent few who can actually afford to buy an electric car, which costs anywhere between $40,000 (Chevy Volt) to $97,000 (Fisker’s Karma).” We saw this yesterday in examining the Washington Post editorial, and noted two electric cars from Mitsubishi (the i-MiEV, base price $29k) and Nissan (the Leaf, base price $35k) with prices below the Chevy Volt. 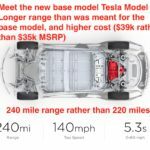 (see Overhyped bashing of electric car charging station subsidies in the Washington Post) By confining his list of electric cars to the range between the Volt and the Karma, Rep Kelly ignores the more affordable models also on the market, allowing him to skew the facts to fit his purposes. Continuing the same line of reasoning Rep. Kelly writes that “the average income of Chevy Volt buyers is $175,000 a year, a large percentage of whom are disproportionately concentrated throughout Southern California.” This interesting factoid is predestined by certain facts. First, the price for the Volt is above the typical family sedan, and clearly higher priced cars are only affordable to the wealthier people. Are we surprised, then, that Volts sell to wealthier people? It makes sense for the Volt owners to be demographically higher income people. What is the demographic distribution of Leaf owners? The Leaf, with its lower price within reach of more people, could well have owners with lower average incomes. What will be the demographic distribution of i-MiEV owners? With its even lower price, we could see the Mitsubishi i-MiEV could be owned by families with even lower average incomes. We’ll note in passing that a study by Kiplinger’s Personal Finance last summer calculated that because of fuel cost savings, a Volt owner would see enough savings after five years to almost pay for the price premium over a Chevy Cruze. 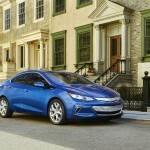 Another factoid is GM’s decision on the specific markets in which to launch the Volt. One of the primary markets in GM’s sights would, of course, be California because of the need for GM to earn Zero Emission Vehicle credits required under California law to remain in the business of selling cars in California. Perhaps Volt owners are “disproportionately concentrated” in California because of GM’s choices? In an effort to demonstrate weak demand for the Volt, Rep Kelly’s op-ed listed these sales figures: “in September , GM sold just 723 Volts. By comparison, 18,097 Chevy Cruzes, 5,246 Chevy Suburbans, and 2,171 Chevy Colorado Pickups were sold in the same time span.” First this ignored the growth in Volt sales throughout October and November. Second, this is hardly a fair comparison on a couple counts. 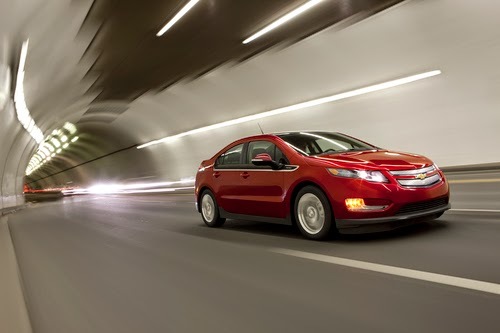 Production volume of the Volt was limited in 2011, meaning GM very likely sold every Volt it manufactured and was unable to sell more Volt’s because of the limited production. Second, we’re talking about a car with a new technology model unlike the Cruze or Suburban or whatever. As our high school math teacher might have said, this is an exercise in comparing apples to oranges. It would be more appropriate to compare Volt sales to the first year of Toyota Prius sales in the U.S. This was in 2000, and there were 5,800 Toyota Prius’s sold that year. It wasn’t until Toyota developed the GenII Prius that sales took off. The next claim in Rep. Kelly’s op-ed was to quote MIT professors Thomas H. Lee, Ben Ball, Jr., and Richard Tabors saying, “the experience of the 1970s and 1980s taught us that if a technology is commercially viable, then government support is not needed, and if a technology is not commercially viable, no amount of government support will make it so.” His intent here is obviously to attack any government incentive program as the fundamentally wrong choice. To claim, on principle, that government incentives are always bad policy. One wonders how many Hummers were sold through Rep. Kelly’s Chevy dealership using the section 179 Hummer Tax Break that existed several years ago. That specific tax break is perhaps an example of his claim. While the Hummer Tax Break was in existence the Hummer (and other SUV’s) were quite popular, in part due to the large tax subsidy businesses could get. The Hummer Tax Break is gone, and as a consequence. Because GM chased after the SUV market so strongly, GM was poorly positioned for the high oil prices of 2007-8. GM’s problems leading to their bankruptcy was, in part, their failure to predict high gasoline prices. Fortunately enough wisdom existed at GM that they began development of the Volt in 2006. On the other hand history is full of examples of technologies that flourished because of government support. The Internet is a prime example of huge benefit coming directly from government support. The Internet was created directly out of U.S. Government research programs but was not viable for the mass public until the mid 90’s. Before the Internet became popular there were dozens of incompatible proprietary network technologies vying for dominance, and it would have been impossible to create the Internet on top those technologies. Who among us would argue the value of the Internet’s existence to global society? Who are GOP’s ‘Young Guns’ and what do they want from Election 2010?